This stunning 2-light Crystal Wall Sconce only uses the best quality material and workmanship ensuring a beautiful heirloom quality piece. 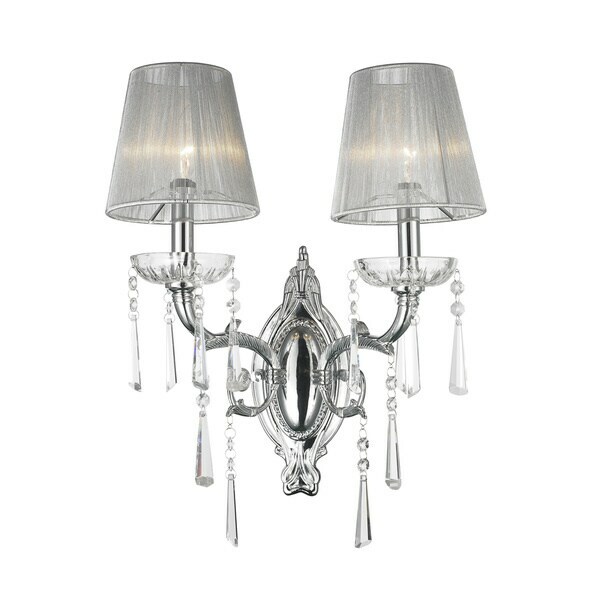 Featuring a radiant Chrome finish, beautiful curved arms with light grey sheer nylon shades and all over crystal embellishments made of finely cut premium grade 30-percent full lead crystal, this wall sconce will give any room sparkle and glamour. "How long for delivery to Ireland "